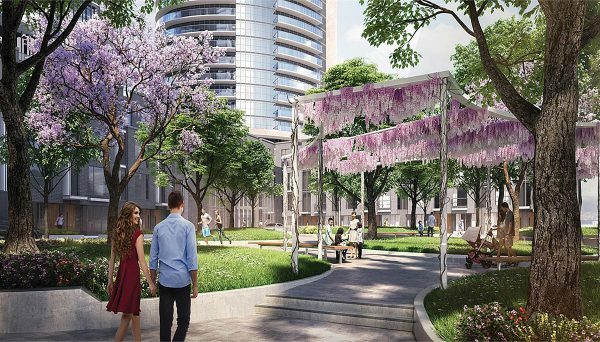 Be part of the revitalization surrounding Islington City Centre with this multi-phase development bringing greenspace, recreation and a friendly, livable vibe to a formerly industrial area. Introducing Valhalla Town Square, a pre-construction Etobicoke condo development coming in March 2020. Conveniently located near Bloor Street West and The East Mall in the Eatonville neighbourhood of Etobicoke, this 33 storey-high condo will be the first of three towers that, along with the Park Terrace townhomes, will comprise the 6.6 acre Valhalla Town Square master-planned community, a new real estate development that will invigorate this neighbourhood into an animated, vibrant destination. But it's not just condos. Having allocated certain space for retail and office use, this mixed-use project will be sure to include a new lane and private green space to bring balance and harmony to the community. 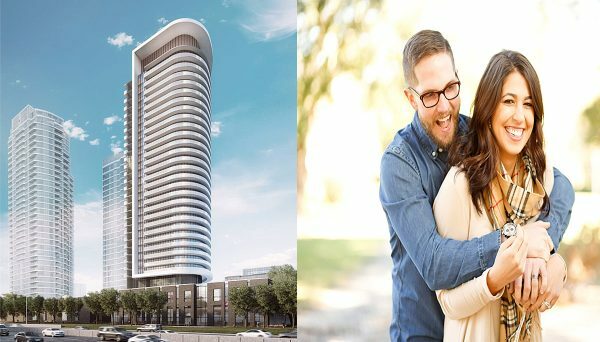 Ideal for the active city citizen on the go, these modern condo suites provide the perfect mix of luxury and convenience, making it a great investment opportunity. A variety of suite models will be provided at this sumptuous residence that include 1-bedroom, 1-bedroom + den, 2-bedroom, 2-bedroom + study, 3-bedroom units. One parking space is included with the purchase price for all suites, while a storage locker will cost $6,000 extra. As an incentive, maintenance fees at this condo will include unlimited Rogers Ignite 250/20 High Speed Internet for free. Features and finishes of these deluxe suites will include 9’ ceilings on certain floors, gourmet kitchens equipped with sleek counters and modular cabinetry accompanied by a full-height pantry or shelving, and also wide plank laminate floating floor with underlay that will be located in suite kitchens, den, hallways, dining, and bedrooms. All suites will be equipped with a balcony or patio. The elegance of residential suites will be equally matched by this condo's resplendent amenities.Residents will be welcomed home by a resort-style lobby on the ground floor where a pet spa can also be found. The rest of the Indoor amenities will be located on the fifth floor where residents will find a WiFi study and library, a children's playroom, two luxurious social lounges, a gym/cardio studio, yoga room, and a boardroom/dining room with accompanying kitchen. Outside, residents will have access to a landscaped rooftop garden with plenty of dining and lounging space.The grounds will include a central courtyard and a landscaped walkway that spans the entire development, connecting to the neighbouring development, and some new trees and landscaping at the south edge of Gibbs Road. The project will be a new neighbourhood unto itself, bringing a sense of community to the former commercial strip.And, to complete this full line-up of pampering, residents will have exclusive use of the master-planned community’s express shuttle bus that will take them to nearby subway and shopping along with concierge services provided seven days a week. Condos here give residents access to a region that's growing both commercially and residentially. It also has great transit options, highway access, shopping and greenspace. No wonder investors are banking on this west-end suburb as becoming one of the GTA's newest hotspots. Already considered one of Canada's largest head office clusters, Etobicoke is seeing more and more companies move into the area, especially around Islington City Centre, which is close to Kipling station. It's also home to a robust manufacturing sector and will soon house two large-scale film production facilities totalling a combined 50,000 square feet. Aside from the nearby the Kipling subway station, which connects you to both the subway into Toronto and the GO train, this condominium features easy access to Highway 427 and the Gardiner Expressway, making for an efficient commute, whether you're heading across town or elsewhere in the GTA. For all your shopping needs, head a few minutes south to the newly expanded Sherway Gardens Mall, which houses over 200 high-end retailers, restaurants and lifestyle amenities. Get a head-start on this up-and-coming west end community today and see what this new project has to offer. 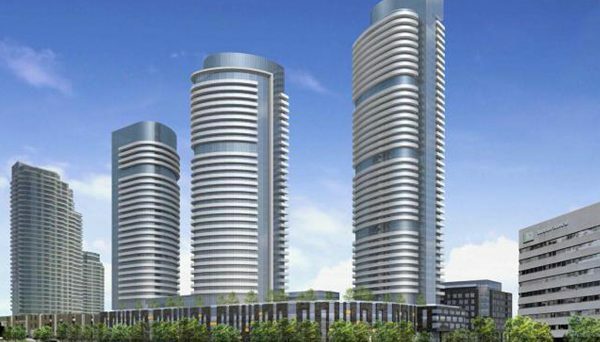 Edilcan Development Corporation has contributed to the GTA's real estate landscape with hundreds of buildings and more than 10,000 suites. Their work ranges from luxury condominiums to upscale commercial developments. They recently completed a successful phased community just next to the Valhalla Town Square development. Read more about Edilcan Development Corporation.